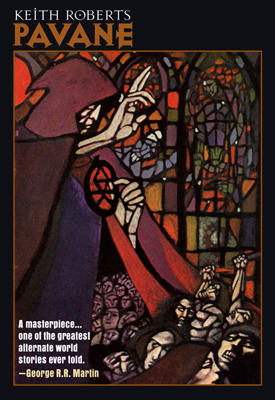 Considered Keith Roberts’ masterwork, this novel consists of linked short stories (six measures and a coda) set in a twentieth century where the Roman Catholic Church controls the western world, and has done so since Queen Eliza­beth of England was assassinated in 1588. The Protestant Reformation never happened. The Inquisition thrives. And a tyran­ni­cal Rome maintains its power in a Dark Age, by limiting knowledge, outlawing electricity and curbing technology. 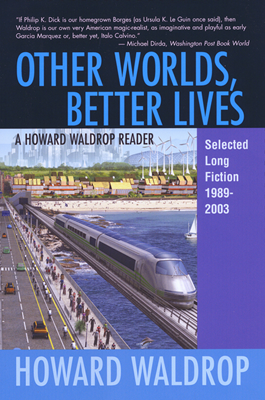 Other Worlds, Better Lives - Selected Long Fiction 1989 - 2003, the latest Old Earth Books collection of Howard Waldrop stories featuring a selection of longer fiction from the last twenty-five years of Howard's career. 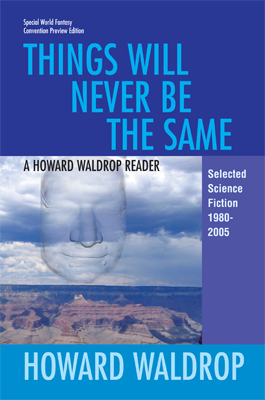 Things Will Never Be The Same: Selected Short Fiction, 1980 - 2005, an Old Earth Books collection of Howard Waldrop short stories. The Old Earth Books six-volume collection of trade paperback facsimiles of the original Fantasy Press hardcover editions of E. E. "Doc" Smith's classic Lensmen series are officially out of print. Old Earth Books no longer has the reprint rights and it is not known when or by whom the series will be reprinted in the future. Nearly all of our titles are available as trade paperbacks priced from $15.00 to $19.95 each. Prices are subject to change without notice. The three limited edition hardcovers are $85.00 each and are signed by the author and artist. Limited edition hardcovers are slipcased and include a complimentary copy of the trade paperback  one to read, one for the shelf. Matched sets of numbers are available. The three limited editions must be ordered directly from the publisher, please e-mail Michael Walsh at publisher@oldearthbooks.com. All of the trade paperbacks are available from our fulfillment company Pathway Book Service at 1-800-345-6665 or pbs@pathwaybook.com. PBS Cart offers a guaranteed secure on-line shopping service using MasterCard or Visa. Your order will be shipped within twenty-four hours after you enter it, usually the same day (with the exception of dated pre-publication orders which will be shipped on the day of publication). This PBS Cart link is to the complete OEB catalog of books at Pathway Book Service. Not all the titles in the OEB master catalog at the PBS Cart site are currently available. Please check the author pages on this web site to determine the availability of a particular title or contact the publisher, Michael Walsh, at publisher@oldearthbooks.com. The PBS Cart uses UPS, FedEx, FedEx Ground (RPS Ground), or the US Postal Service and will choose the best shipping method for your geographic area. To check on an order or for information on rush shipping or for shipping charges outside of the US, e-mail PBS@pathwaybook.com, fax 603-357-2073, or phone 800-345-6665 or 603-357-0236. I may be reached at publisher@oldearthbooks.com.